Have you ever felt so stuck in a rut that you felt blocked – in the flow of your life, from abundance, with your creativity, joy, or love life? Seriously, if you’ve never felt stuck, you must not have a pulse! Because, we’ve ALL been there. AND revisit that feeling from time to time. It’s a part of what makes us human, our struggle. How we come to a screeching halt so quick our heels are still burning. What’s also a part of what makes us human is our courage. We can often surprise ourselves with the amount of chutzpah we can draw up in ourselves, even when (and usually revealed when) we feel our resources are all tapped out. So, what can help us tap into our courage when we feel stuck? Because, a pattern is just that – a pattern. Whether it’s a productive, healthy one, or a negative, soul-killing one. It is what feels safe to us. It is home. It’s a pattern. And, a choice. But, oftentimes, we get so caught up in our lives that we just keep with the status quo, keep propagating patterns that may, or may not, serve us. What I often find is that we create our patterns earlier on in life because it DOES serve us – to be quiet, withdrawn, hide our power and gifts from others so it doesn’t get (further) trampled on, retract our brilliance so others who don’t shine as brightly don’t feel intimidated, smile when you feel a quiet death within, to disengage from others and disconnect. You don’t feel as satisfied, or feel like there’s something gnawing at you that feels unfinished. Your irritation about your issue bleeds into other areas of your life. Your abundance dries up quicker than a shriveled prune. You easily get confused or mentally distracted. If you have at least two of the above signs, you me be perpetuating a pattern that no longer serves you. Change up the scenery. Whether you’re getting outta dodge for a few days, or taking a jaunt around the block, sometimes just getting fresh air and a change of scenery can be enough to jolt you out of your current state of stuckness. It is WAY too easy to overthink our predicament, or bang our head against the wall, when we are physically in the same spot for hours. If this sounds like you, time to switch it up! Breathe it out. When we are feeling stagnant in negative patterns, our breathing often reflects the state of our emotions. When we’re feeling halted or stressed, our breathing gets short, and we breathe from our chest, rather than our belly (which we automatically did as babies). Also, when we’re grieving or having issues around letting go, our Lungs are involved, on a Chinese Medicine level. Inadequate breathing means less oxygenated blood, which means less nutrients to the brain and body, which means a more fatigued and less vibrant you! Interrupt that shizzle with conscious breath. My favorite way to do this is by placing one hand over my Heart Chakra, the other one over my belly (you can choose from your Solar Plexus Chakra, your Sacral Plexus Chakra, or your Hara at your navel). Then I take in a breath through the nose for 4 counts, hold for 4 counts, and exhale through the mouth for 8 counts. Then follow with a nice slow inhale through the nose, breathing in light and love, followed by an exhale through the mouth, of all that no longer serves you. If you like, you can do a variation where you inhale through your nose, imagining yourself drawing radiance into your body, and in your exhale, you blow out forcefully through your mouth, forcing out old stale drama. Elevate your cardio rhythm. This is the part where everyone and their momma will recommend that you work out. And, this is, indeed, a very helpful tip! Working out and being physically active moves your Liver Qi. But, you don’t necessarily need to get your workout on in order to interrupt your negative pattern. For instance, if you notice you’re feeling blocked, like when you’re ruminating over your ex, or, if you just can’t type another word on your screen even though your deadline looms (that’s one I can identify with! ), stop what you’re doing, and do 20 jumping jacks OR run in place for 20 seconds. This quickie will infuse new blood into your system, and help you breathe more deeply. Channel your inner Tarzan/a. I got this suggestion from one of my favorite spiritual mentors, Sonia Choquette. I tried it for the first time many years ago, and it’s been in my de-stress arsenal ever since! When you need to quickly shift yourself out of a negative pattern, thump your fist on the center of your chest, and shout, “HA!” Doing this three times in a row often does the trick for me. It forces air out of your lungs, and wakes up your Heart Qi. Remember love. When we are stuck in negative patterns, we start to panic and stress because we believe the illusion that we are so disconnected from everyone else, from Source, from love. This disconnection is a powerful illusion, and can often send us off into an abyss. What heals this is love. Flood yourself with love. Ask angels of love and comfort to surround you. Call on your Ancestors to envelop you in their generations of love for you. Consciously remember times when you have felt deeply loved, or felt deep love, no matter the circumstance. It’s the feeling that is real, true, no matter how it turned out. Use Qi-moving essential oils. Lavender, one of the most popular essential oils out there, not only smells fabulous, but it moves the Liver Qi, which can often get stagnant from daily stressors (even from positive life changes). If you’re not only trying to move your Liver Qi, but you’re feeling like your Throat Chakra is having trouble with expressing your inner truth, bring on your ally, Rosemary. Using 3-5 drops each in a small dime-size of carrier oil (I love good pesticide-free jojoba as a great general carrier), and apply it to the base of your throat with a cottonball, using upward strokes. Also applying it to the web between your first and second toe, very close to the point where the two tendons meet, is very helpful for moving Liver Qi. In Chinese Medicine, this is the fabulous (and infamous!) acupuncture point Liver 3. Get an acupuncture or Reiki treatment. You knew I was going to go there, right? Healing modalities, such as acupuncture and Reiki, move the energy in the body, heal the etheric body, and optimally move your Qi, helping you get in your flow by getting you unstuck. In Chinese Medicine, the Liver and/or Gallbladder (which are paired organs) are often the unbalanced culprit(s) when we are feeling halted in a negative pattern. Acupuncture taps into our natural healing meridians that activates the optimal flow. Also, the energy body picks up on EVERYTHING first. If there’s an imbalance on that level, and it’s left unchecked long enough, it manifests as a physical symptom. Enter Reiki to rebalance the energy in the etheric and physical bodies so that early, budding pathogens can’t stand a chance. 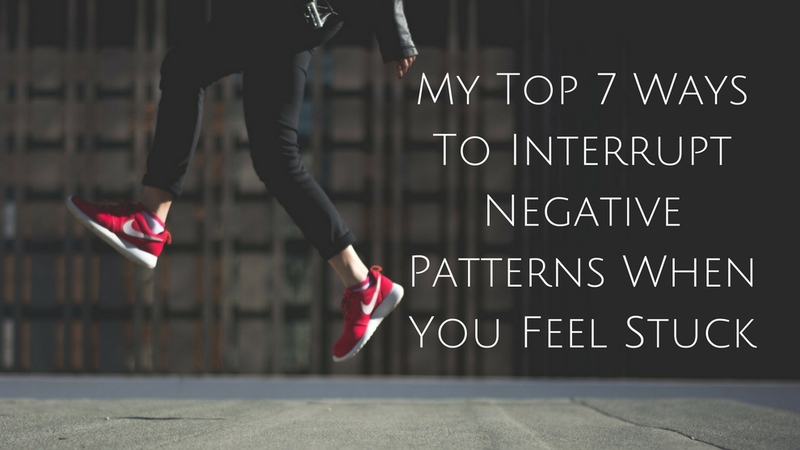 What is your favorite way to interrupt negative patterns? 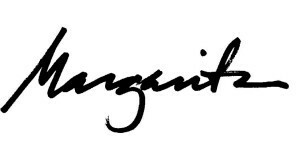 My first-ever article in the Huffington Post! Michael Phelps’ cupping marks were the toast of the acupuncture town during the Olympics in Rio. And, unfortunately, I was seeing an abundance of “experts” writing articles about cupping, who weren’t even practitioners! The Writing Goddesses shone upon me, and helped me get my article published just in time to be considered in the plethora of cupping articles that were dominating the news stream that first week of the games. 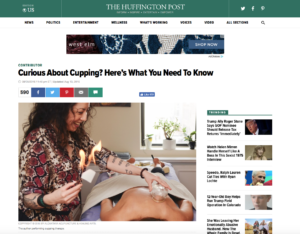 If you want to read an article about what cupping REALLY is about, please check out my article on The Huffington Post!